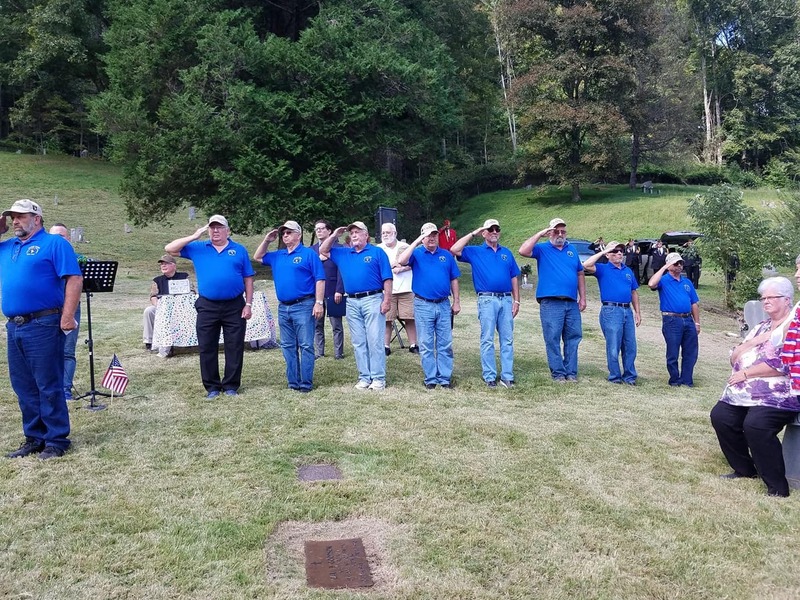 Charlie Company had a team of 9 men from 6 states participate in the memorial for Carl B. 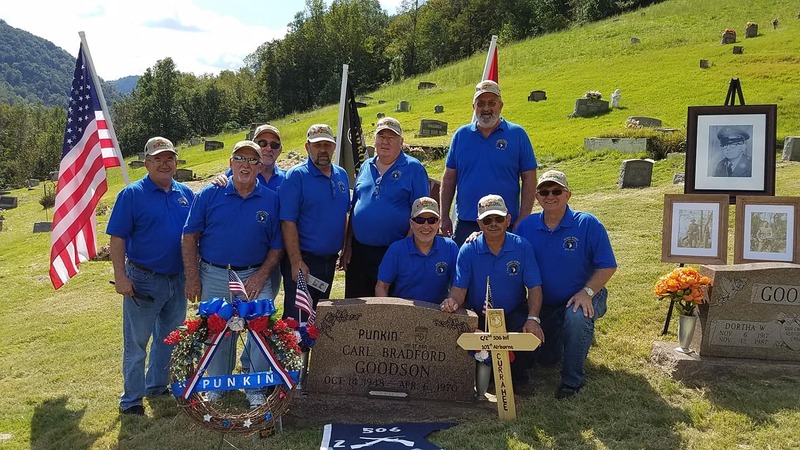 (Punkin) Goodson in Cedar Grove WV. 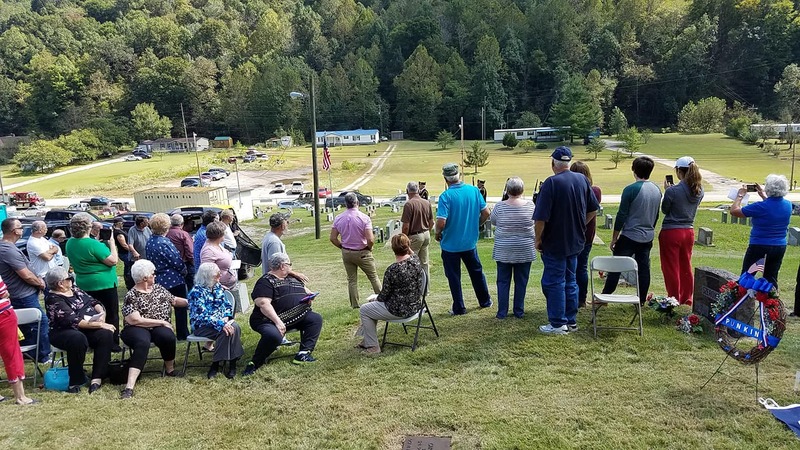 It was a warm beautiful day and by the time that Charlie company arrived at noon the cemetery was filled with friends and family. 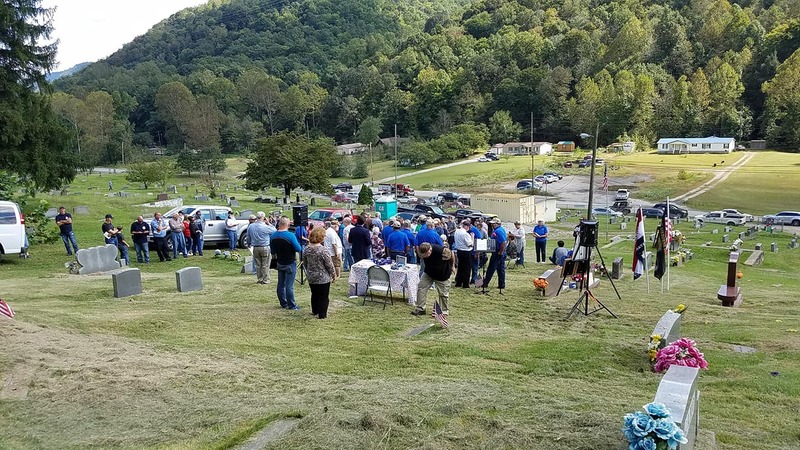 We prepared the grave site for the memorial as family and friends continued to arrive. 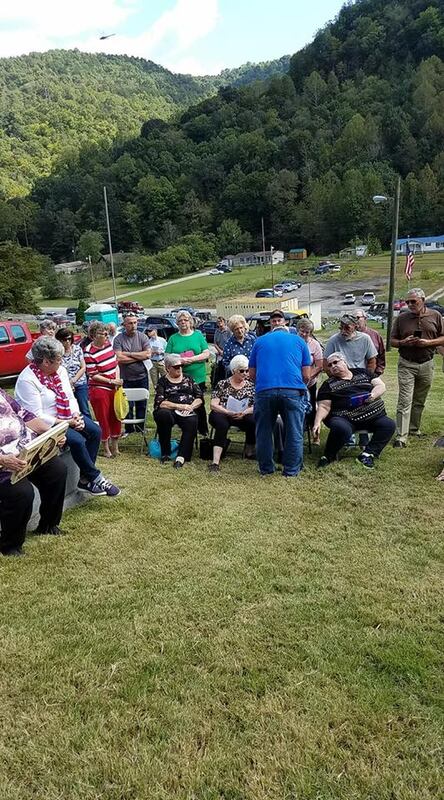 By 1:00PM there were over 100 people ready to honor Carl's memory. 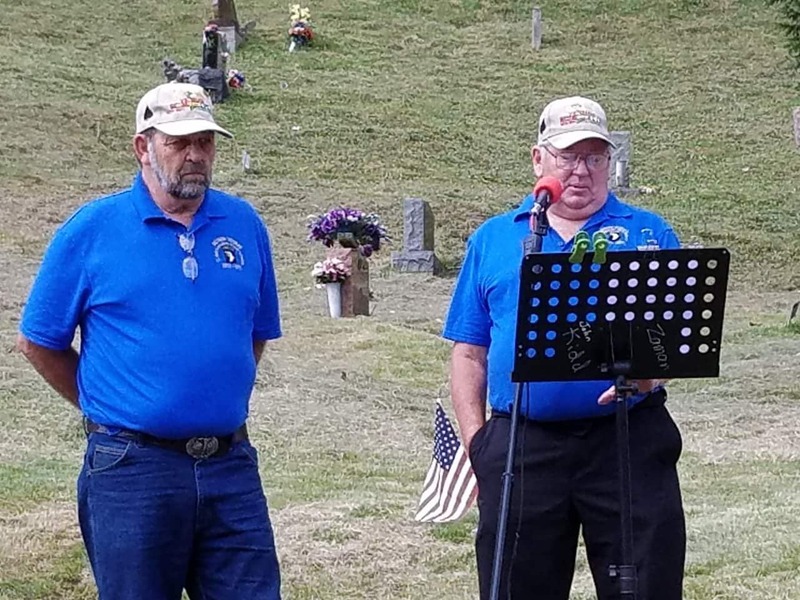 The cemetery was on a steep slope as Charlie Company Memorial team began the program with the National Anthem sung by Gregg Boggs, Bob Smoker gave the invocation prayer. A councilman from Cedar Grove welcomed everyone to the memorial to remember a young man everyone knew growing up in Cedar Grove. Gary Gilliam told why after 48 years have we arrived to remember and honor Carl. Bob Lister read the poem "A soldier's reflection" telling of a soldiers life in Vietnam, Kit Glaser a cousin of Carl told of growing up with Carl and a few others told of their life with Carl. 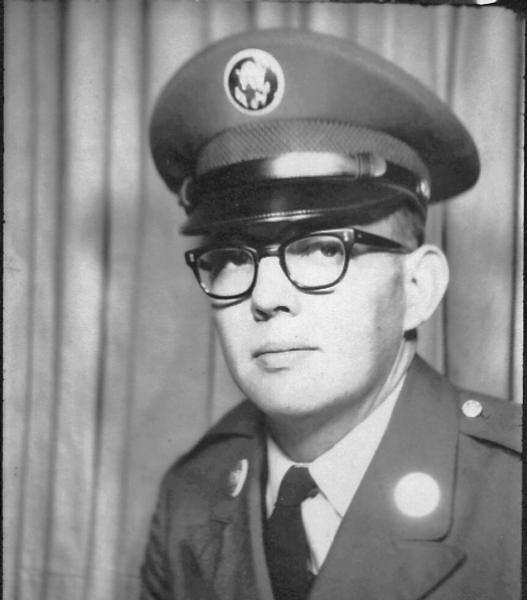 LT. Lombard told of the story leading up to Ripcord and Bob Smoker told of his time with Carl in Vietnam and read the letter from John Fowler to the family. Dave Simonds presented two plaques to Carl's brothers wife Brenda, Carl's closest living relative. 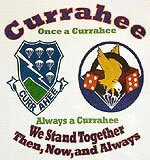 Glenn Green presented the 101st Eagle Emblem and the Currahee Crest to family. 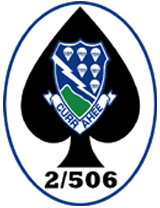 At that point, Charlie Company was called to attention "ROLL CALL" as each name was called a loud "HERE SERGEANT" rang out as each team member replied. 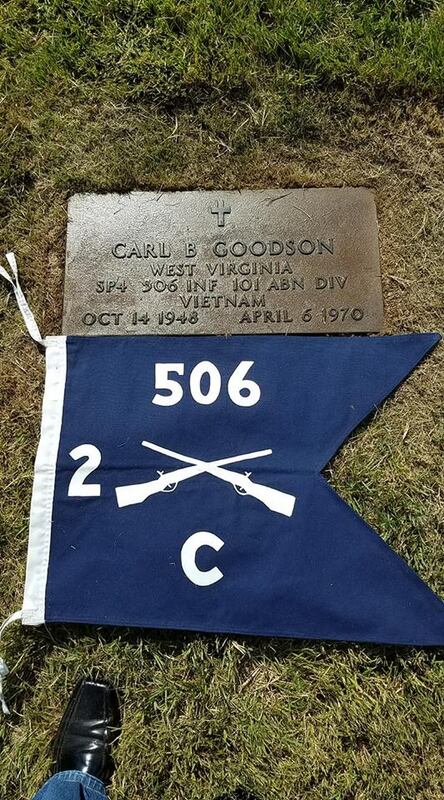 SGT Christiansen then called the name "Carl Goodson" pause, "CARL B. GOODSON" pause, "SPC4 CARL B. GOODSON" rang across the quiet valley with another pause, then Frank Matsko called out "HE IS HERE SERGEANT; HE LIVES IN US". 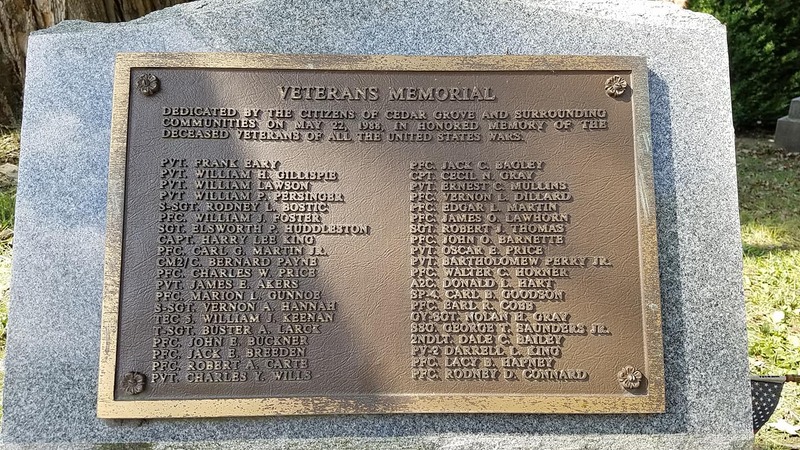 Glenn Shuman then read the poem Live Brother Live as each soldier made their way and placed a coin on Carl's headstone, once finished Glenn place his coin, followed by SGT Christiansen. SGT Christiansen then called Charlie Company to attention and ordered honor guard to take over. The National Guard Rifle Team of seven performed three volleys in a "21 Gun Salute" and it was as precise as any I have seen, followed by the playing of Taps. 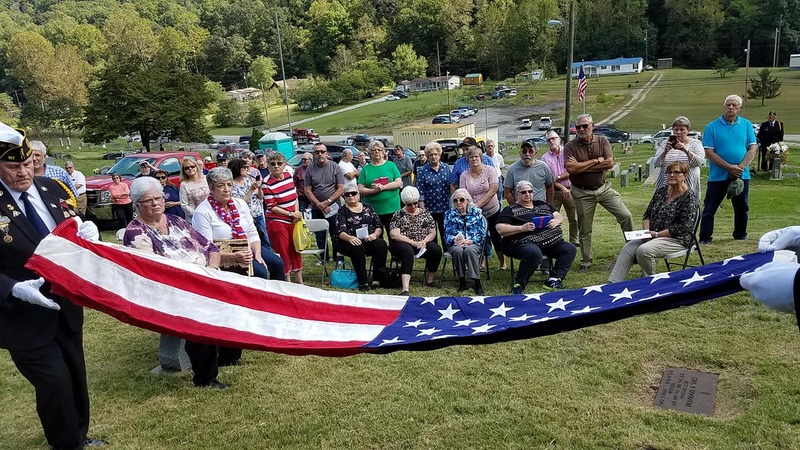 The American Legion honor team then did a flag presentation and presentation Brenda Goodson the widow of Carl's only sibling Vernon "Bud" Goodson. 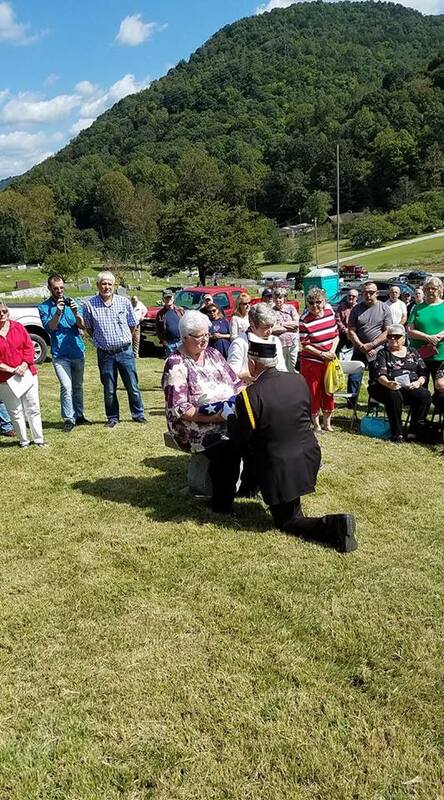 The service was concluded with a presentation to the family by Senator Joe Manchin of WV representative Brian Aluise. SGT Christiansen thanked everyone for coming out to help us remember our young fallen brother SPC 4 Carl B. Goodson. The team was then provided a delicious lunch by family and friends. The family was very thankful for the memorial and I am so glad to have been there with the team to provide this honor. They were a very close family and truly have never forgotten their young soldier. 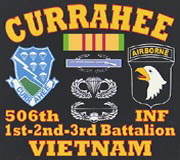 I would like to thank all those Charlie Company who joined the team honor of fallen brother. 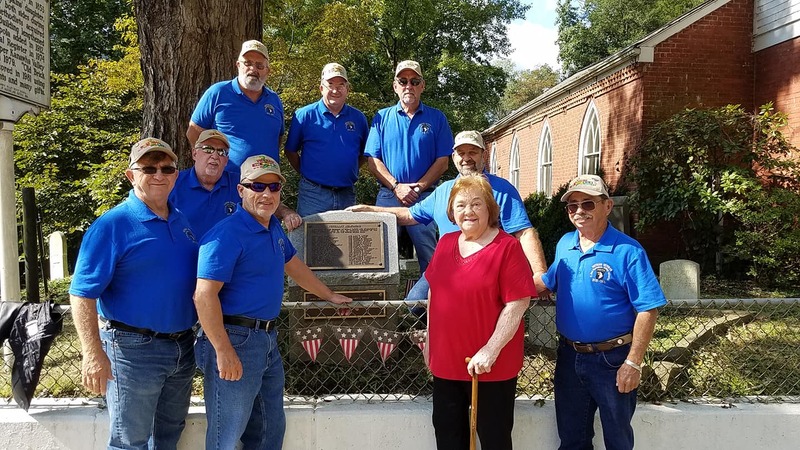 A resident of Potosi, Missouri, Gilliam said local chapters of the Veterans of Foreign Wars, American Legion and other veterans’ and military organizations are invited to participate in the tribute to Goodson. Gilliam also detailed Goodson and his division’s nearly-50-year history. 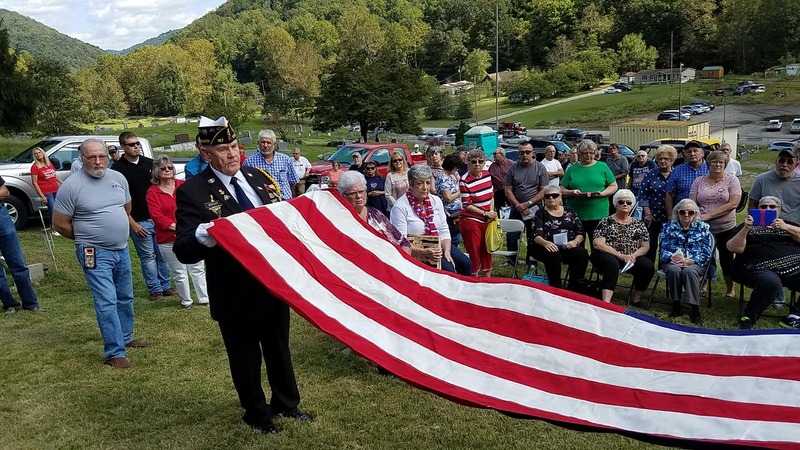 Charlie Company was stationed in 1970 in the mountainous region of the northernmost province of South Vietnam, he said. 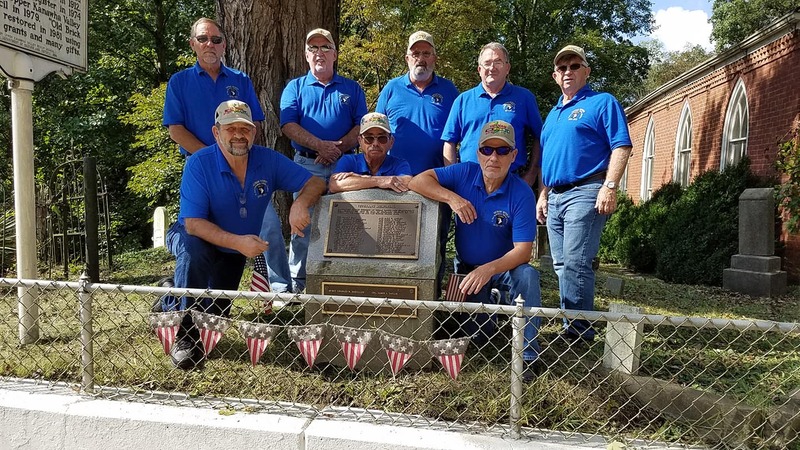 “In September 2015, five Charlie Company men made a journey to Augusta, Georgia, to visit the gravesite of SFC. Domenic Smigliani, who was their platoon leader and a father figure to the men of Charlie Company 2nd Platoon. 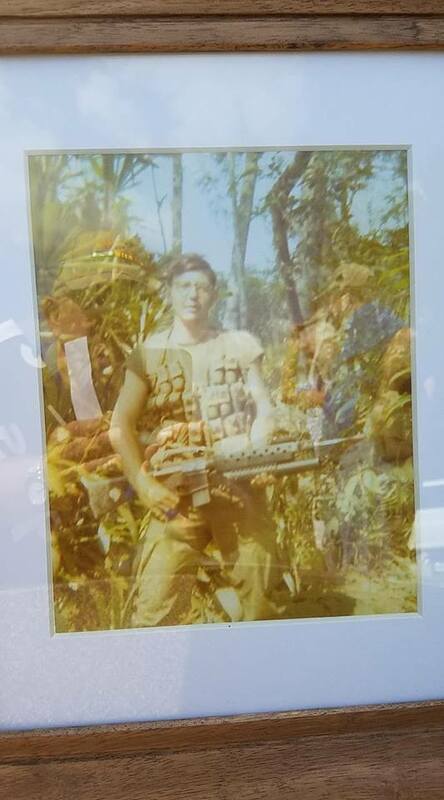 Domenic had died on July 27, 1971, and this was the first time anyone from their unit had visited his grave site. 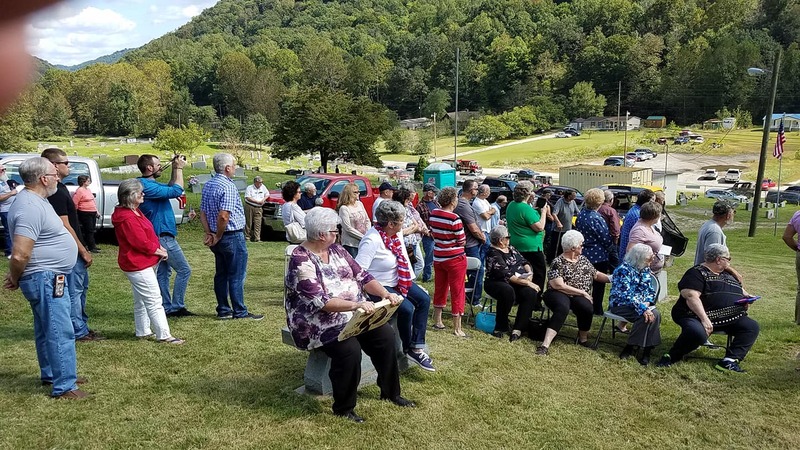 “While there, it became evident that they needed to continue this act and made a commitment to visit more of their brothers’ graves. 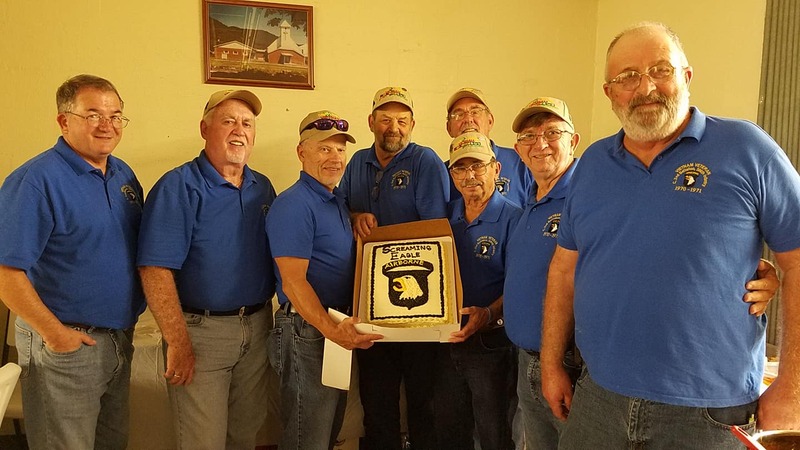 They shared their commitment with all of their brothers from Charlie Company and formed a memorial team that has now traveled across the country visiting 17 of the 25 gravesites of Charlie Company 1970-71 fallen brothers.” Gilliam said Charlie Company has one brother in arms, Stephen Harber, still listed as Missing in Action.